Talks Music is like a British version of Inside the Actors Studio, but with musos instead of thespians. Host Malcolm Gerrie brings all the enthusiasm (but none of the unction) that James Lipton brings to ITAS, and the music-student audience sits enraptured and gets to ask questions at the end. 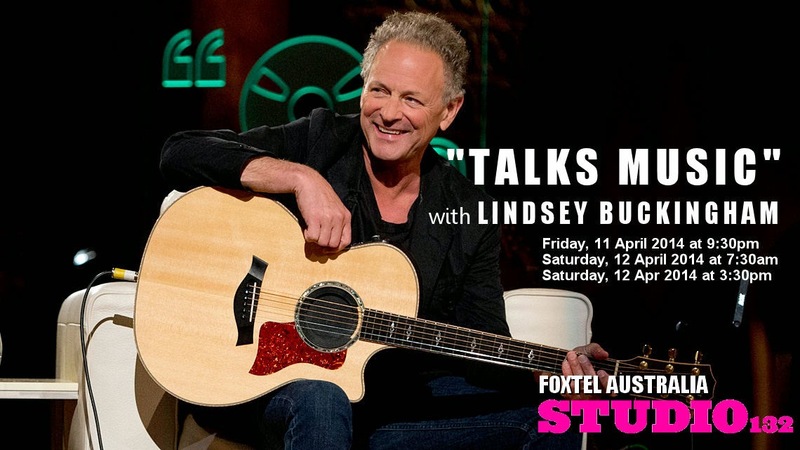 Tonight's instalment is fascinating, as Lindsey Buckingham of Fleetwood Mac reflects on his life and career. And he brings a guitar with him - all the better to show the finer points of his writing and playing styles. Musical interludes include an instrumental from early album Buckingham Nicks, and a stunning blast of Big Love.